I am sitting in the Entrepreneur workshop with the amazing Marine, Michael Zacchea who I introduced in an earlier post on the opening session. Dr Zacchea started working on Veterans workforce issues in 2010. He found a downward spiral for veterans who fell out of the workforce and set about to do more than current veterans services who try to fix the superficial problems rather than offering more support as they come back into the workforce and start new businesses.He found a significant number of veteran owned businesses in Connecticut and so came up with a model is called the re-integration value chain model. Veterans need to plan for separation at least 2 years before they get out. They need to have a plan. Work with educational institutions to make them aware of the number of veterans enrolled and to help meet their educational needs. Leverage defense industries and veteran owned businesses to provide more employment opportunity. Workforce reintegration needs support from businesses who fear liability issues connected with vets with issues like PTSD. Better access to adequate food and housing. 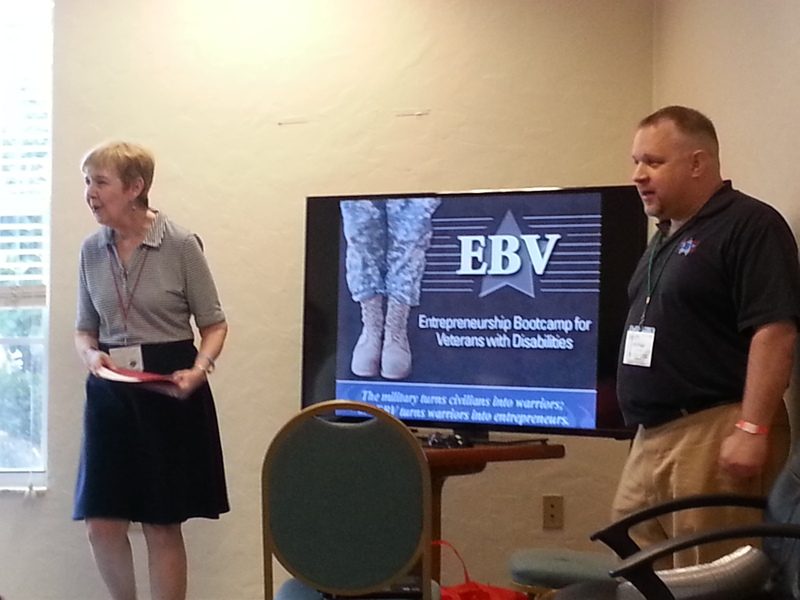 See the EBV website for more about Mike’s Boot Camp for Veterans.